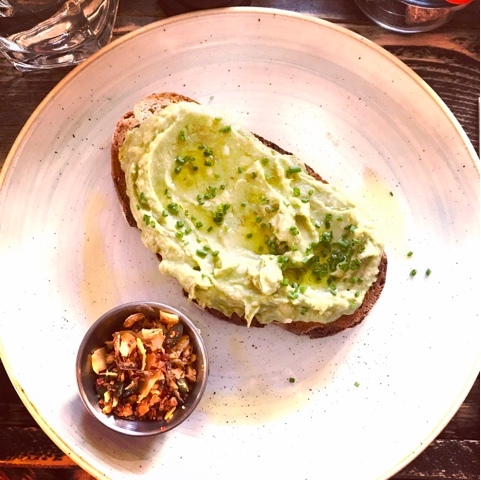 A few weeks ago I was lucky enough to try the new restaurant/bar in Streatham called The Mere Scribbler where I had possibly the best avocado toast of my life.. bold statement right there! They have a really great menu with your typical pub grub but also a mixture of other cuisines and most importantly they cater for vegans! The bar staff are super friendly and accomodating. They even allow dogs in there. They also have a lovely beer garden out the back for when the weather finally warms up in London! I would definitely recommend trying this place if you haven't already. They have TVs showing the football and a great cocktail menu, you honestly can't fault it. The decor is really trendy with a slight vintage feel and you see people in there working on laptops (myself included!) or mum's catching up over coffee. Definitely check it out if you're in the Streatham Common area! Can you recommend any other good places in London for brunch?